Justification for incubation conditions when using single media plates for fungus and bacteria during environmental monitoring. 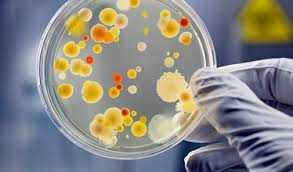 It confuses every microbiologist in pharmaceuticals to incubate the common plates for the fungal count and bacterial count that which incubation conditions should choose first for best growth of fungus and bacteria both. It was a method of old days when separate media plates were used for the bacterial and fungal count (Soybean casein digest agar for bacteria and Sabouraud chloramphenicol agar for yeasts and molds). Soybean casein digest agar (SCDA) supports the growth of both fungus and bacteria, therefore, a single plate can be used for both. The idea is very useful for the environmental monitoring by active air sampling which consumes a lot of time and media. As optimum incubation conditions for yeasts & molds and bacteria is 22.5 ±2.5°C for 3 days (72 hours) and 32.5 ±2.5°C for 2 days (48 hours) respectively, these must be incubated at these incubation conditions for their proper growth. Now the question is that how to incubate the single plate at two different temperatures? We can incubate the same plate first at 32.5 ±2.5°C for 2 days and then at 22.5 ±2.5°C for remaining 3 days. This is given in USP General Chapter <1116> Microbiological Control and Monitoring of Aseptic Processing Environments, that was revised in 2012 and states that if the lower temperature is selected first to incubate the plates then the growth of gram-positive cocci may be affected. These are associated with human-generated contamination, so their recovery is important. Incubation first at 32.5 ±2.5°C shall also help to grow the slow-growing microorganisms. The growth of the yeast and mold on Soybean casein digest agar should be validated against the Sabouraud chloramphenicol agar before implementing in your manufacturing facility. Investigators may ask for above validation. Use of single media plate for both organisms is a cost-effective and time-saving approach.